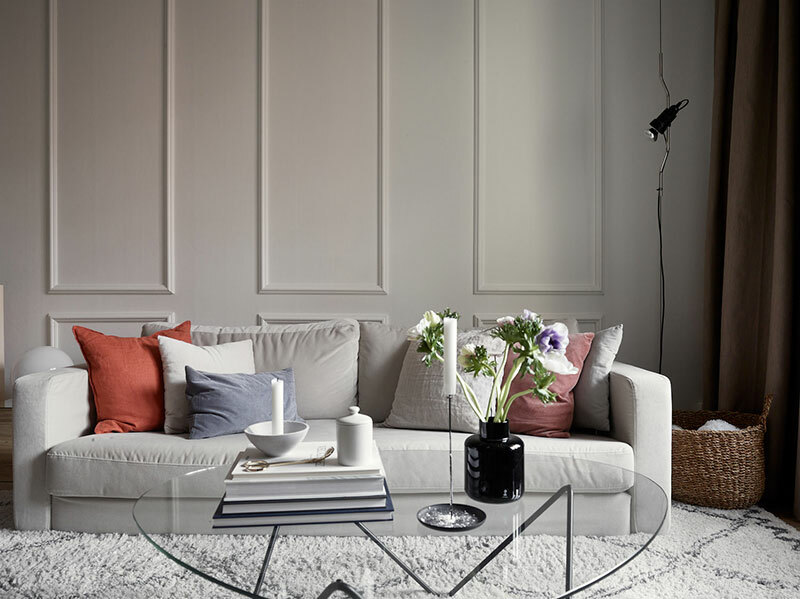 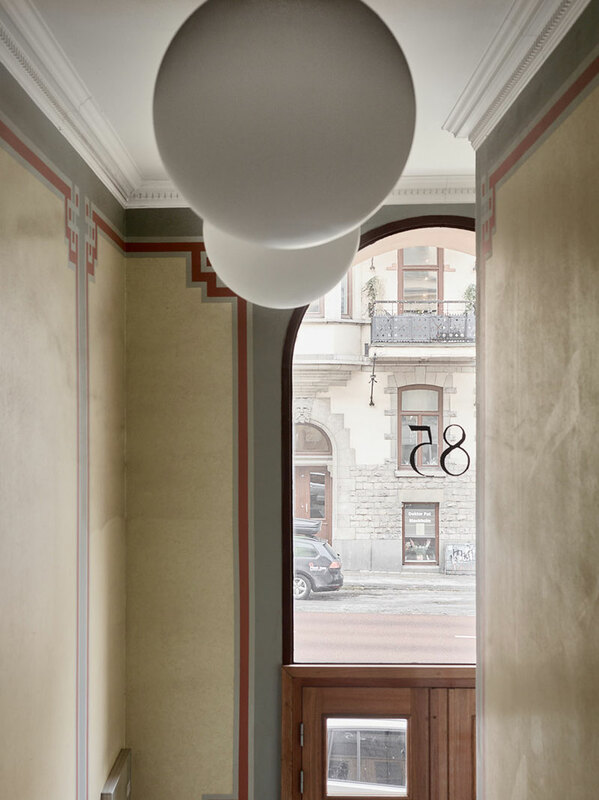 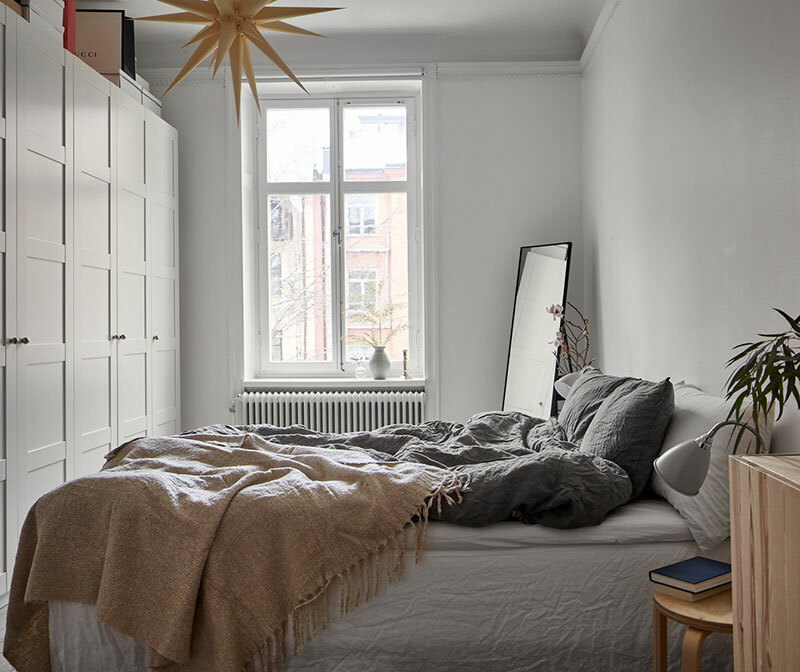 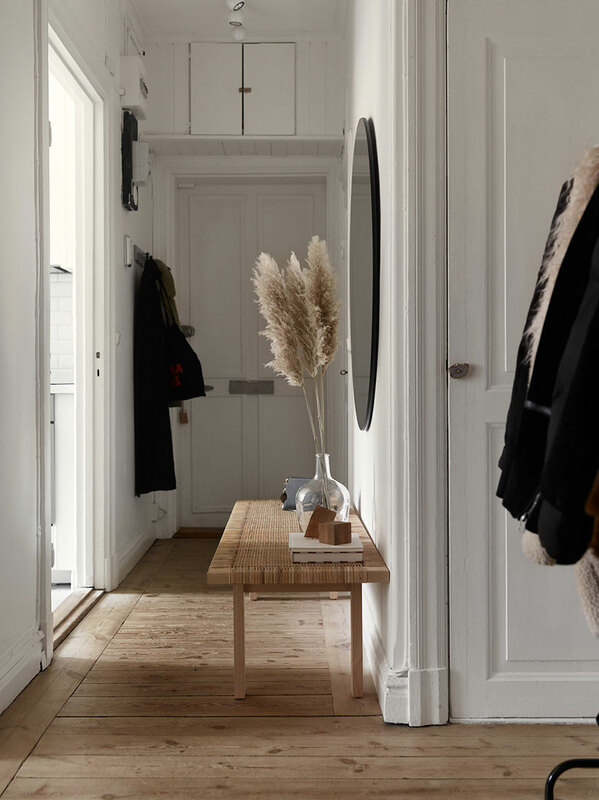 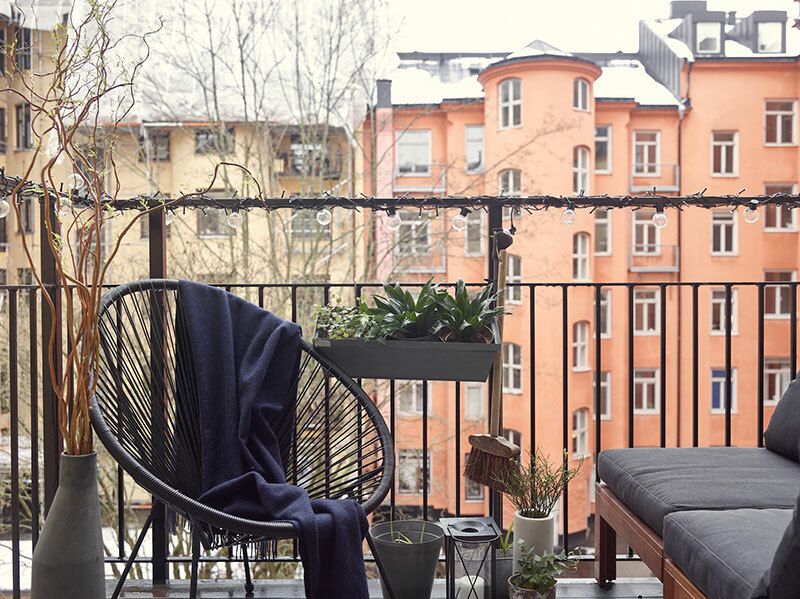 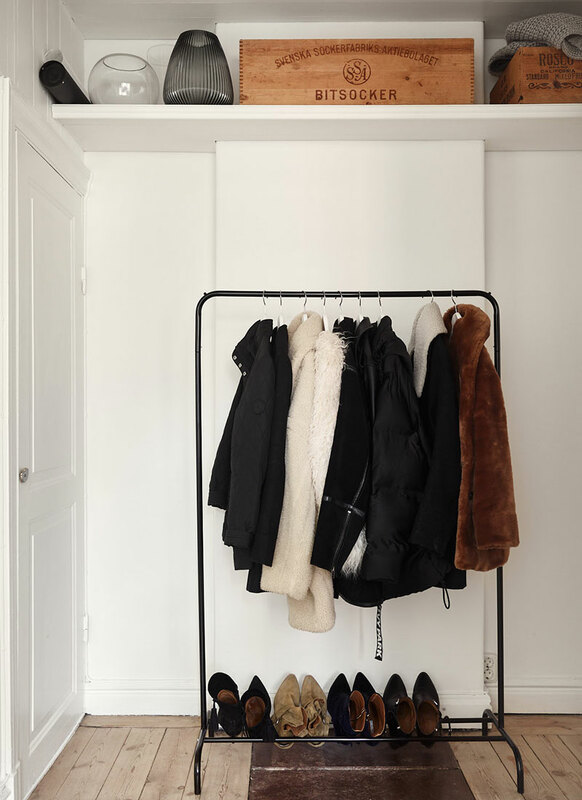 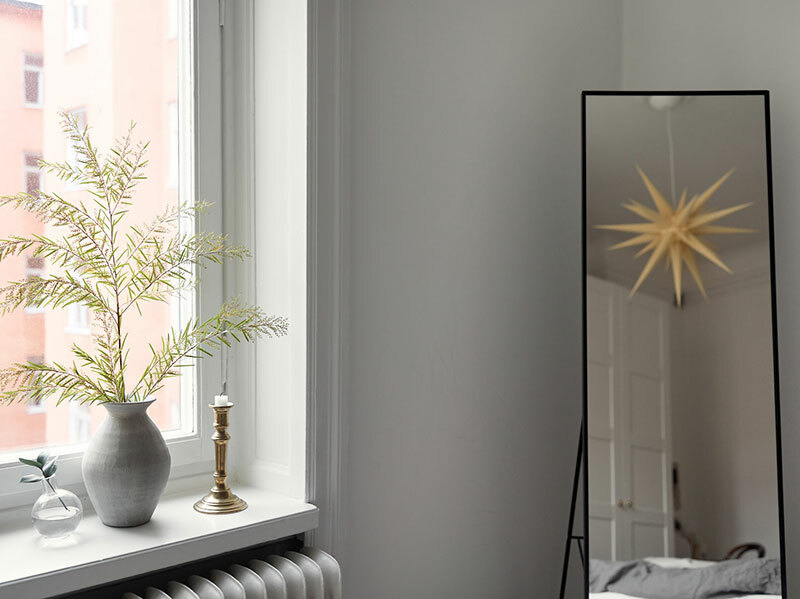 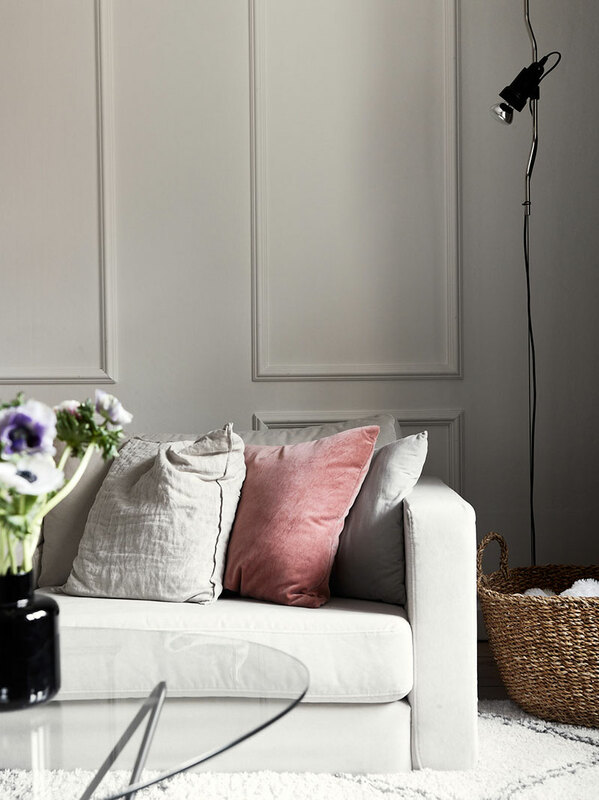 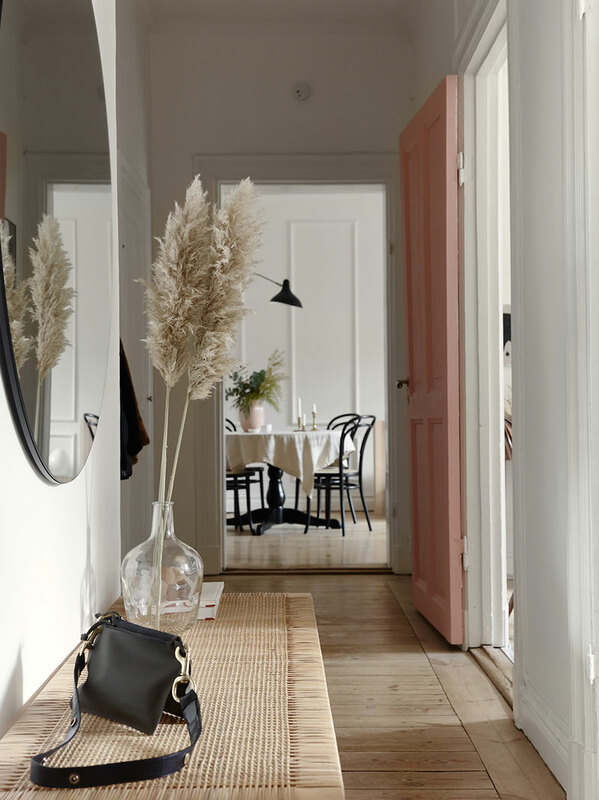 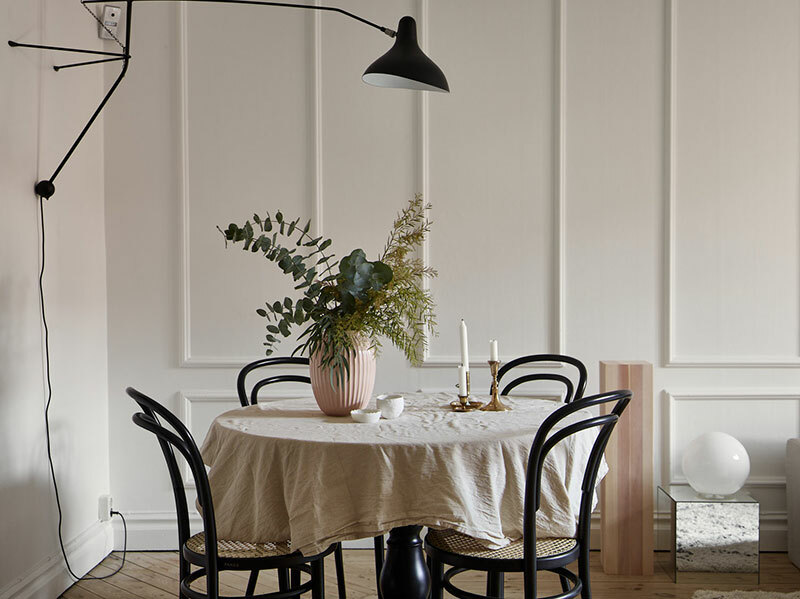 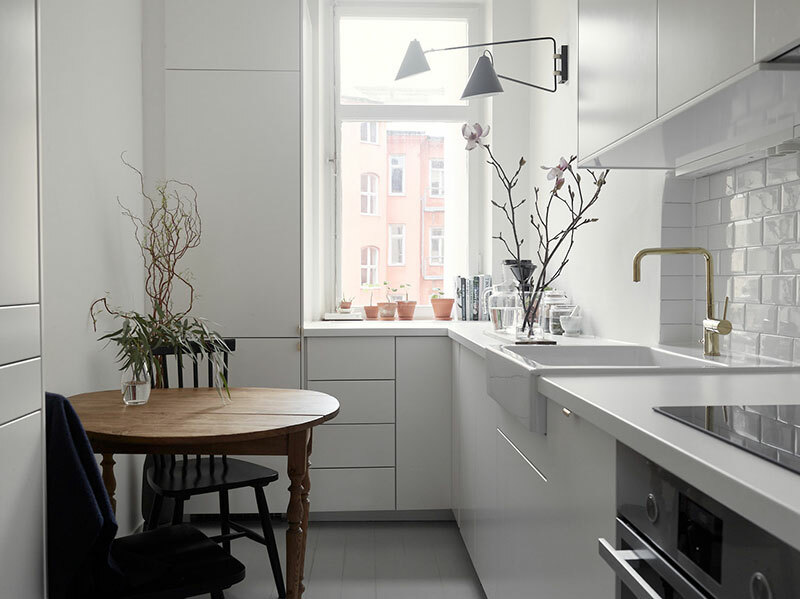 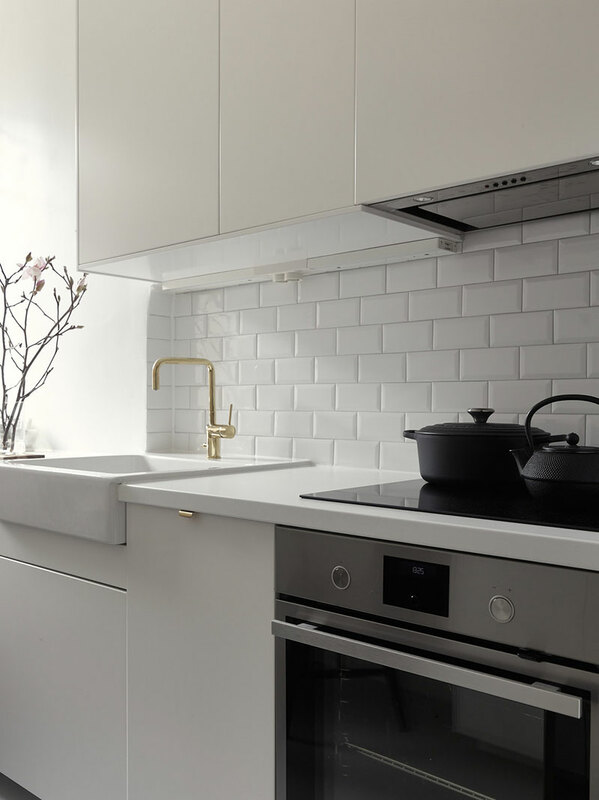 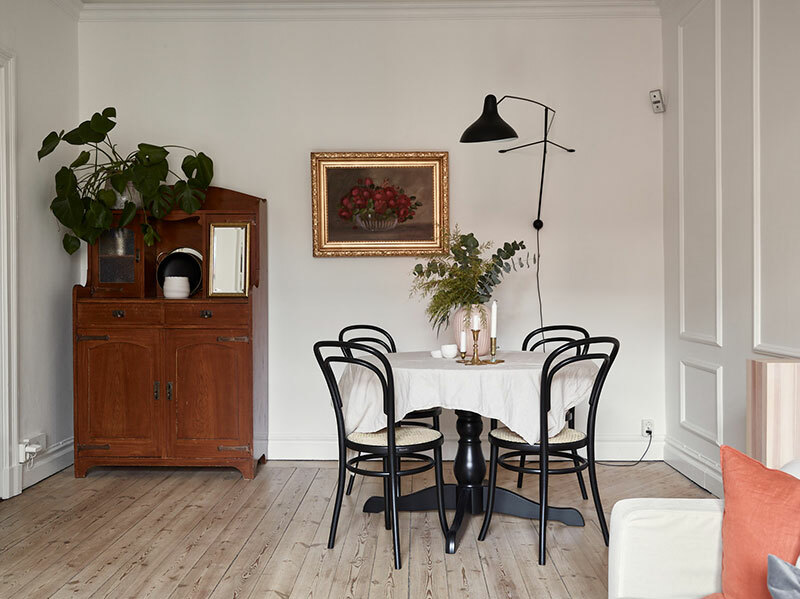 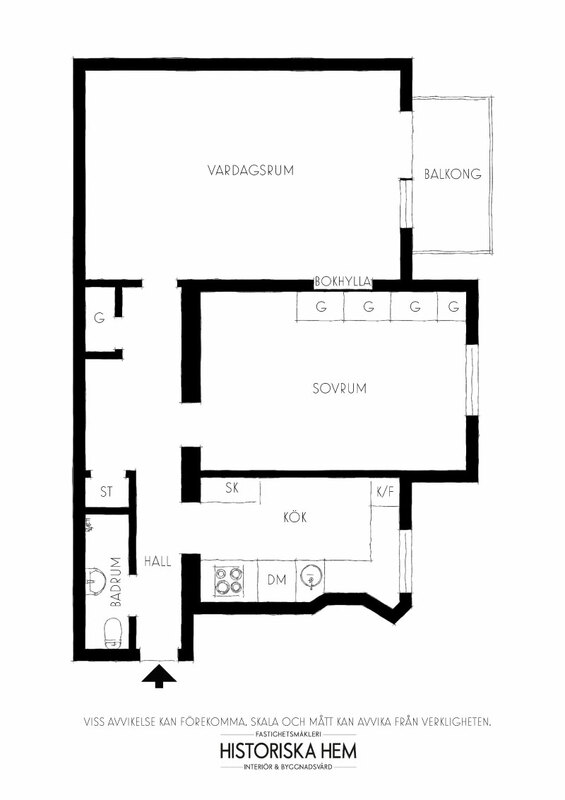 The designer of this small 57-sqm apartment in Stockholm decided to transform a monochromatic white space with color accents and light wood elements. 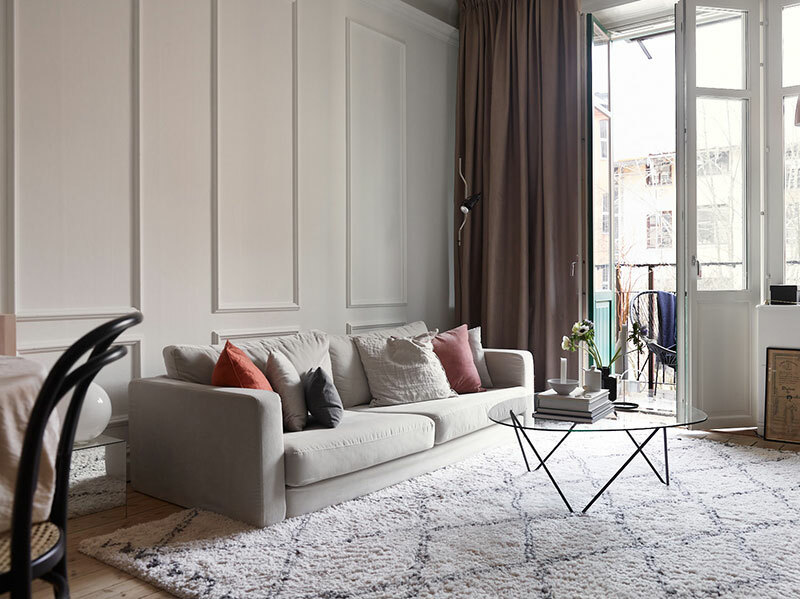 This solution helped to soften the interiors and make it more homely. 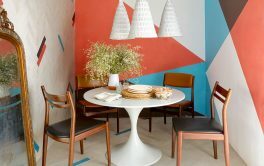 The owners were not afraid to use simple furniture and vintage items as they add to coziness and comfort. 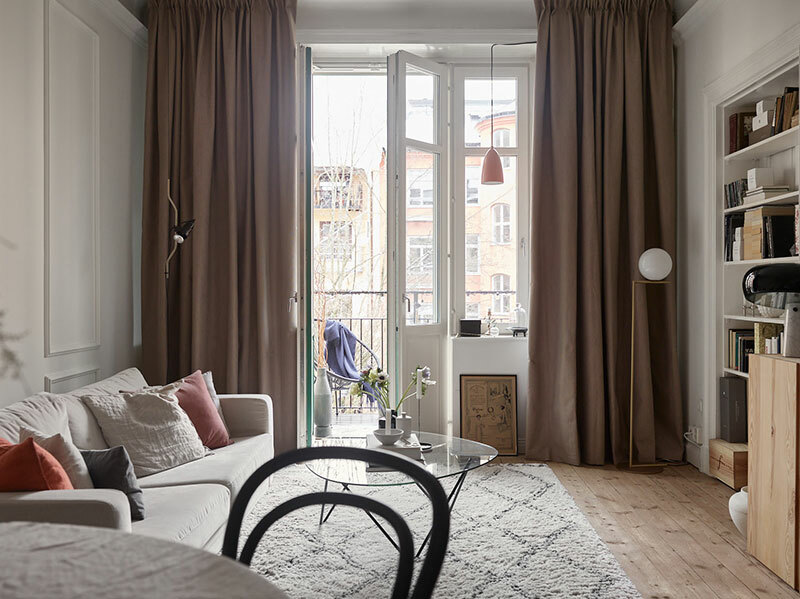 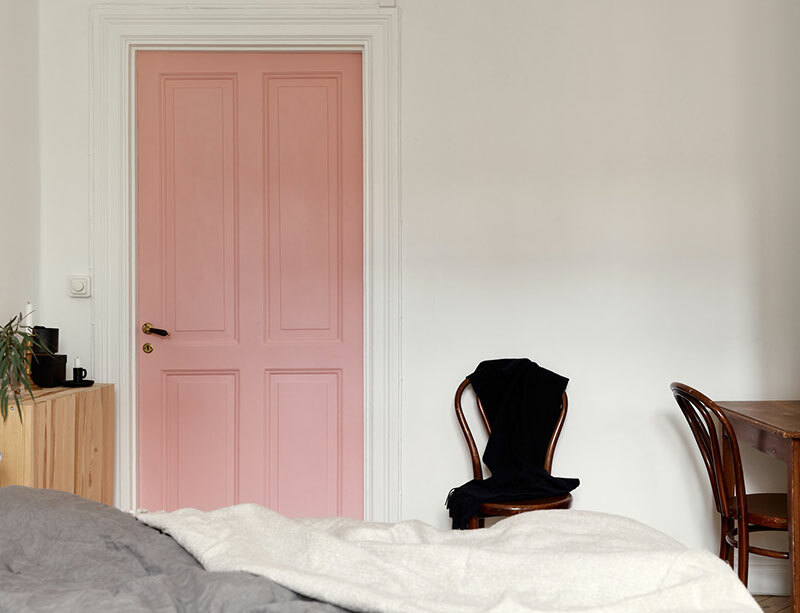 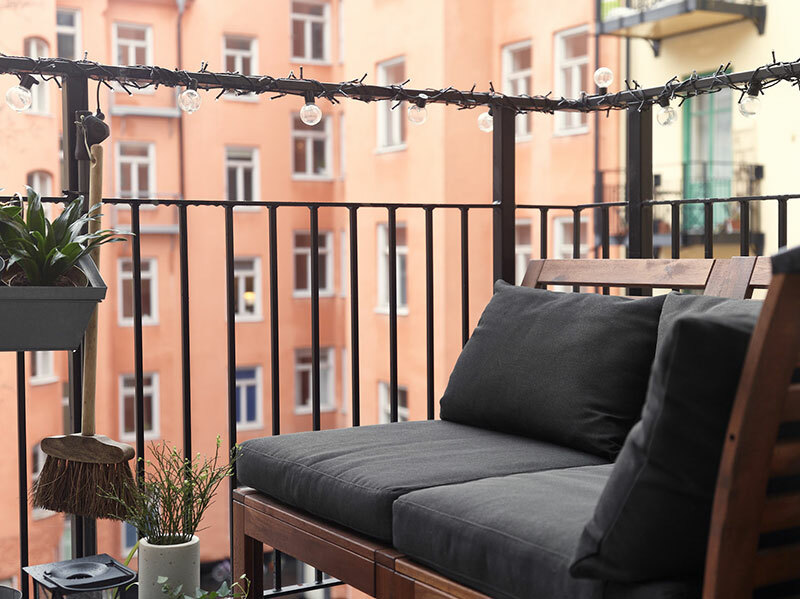 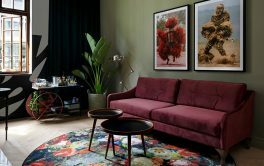 And for the cheerful mood, the designer has painted one of the doors pink, decorated the sofa with multi-colored pillows, and hung a garland of light bulbs on the balcony. 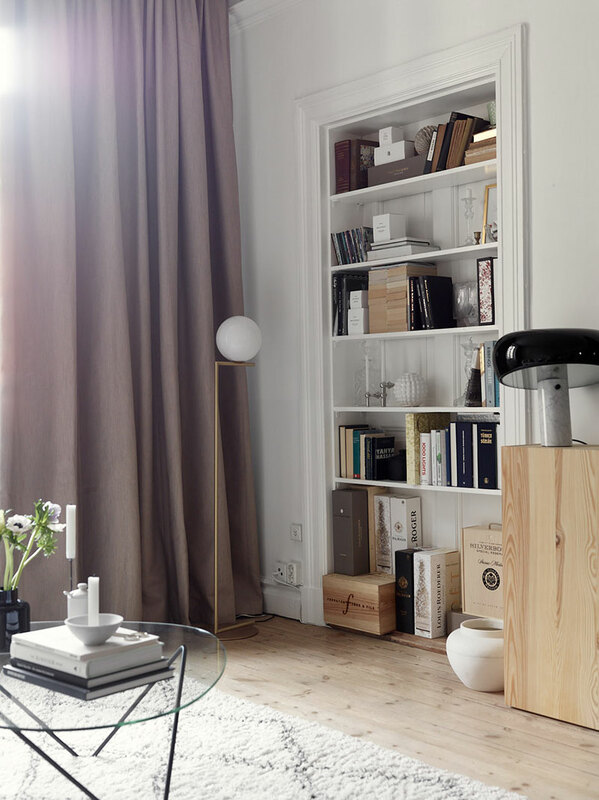 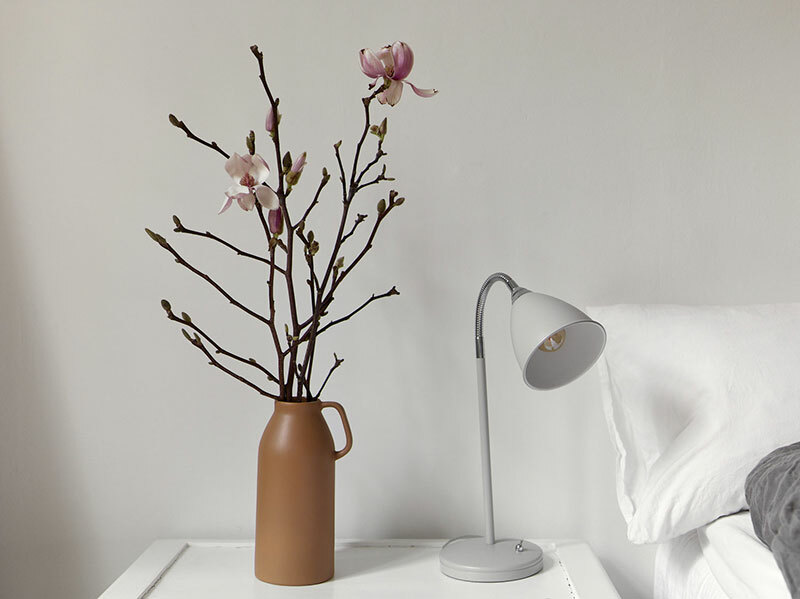 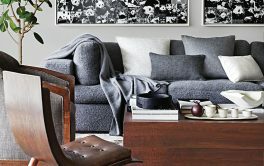 The home proves that you should not be afraid of ordinary things and simple techniques.